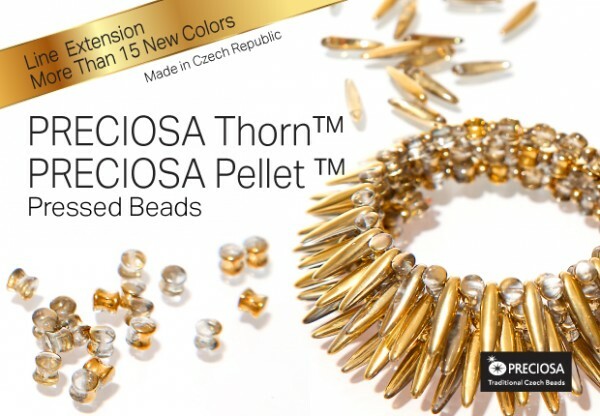 The PRECIOSA Pellet™ & Thorn™ collection at John Bead has had a line extension of 15 more colours. 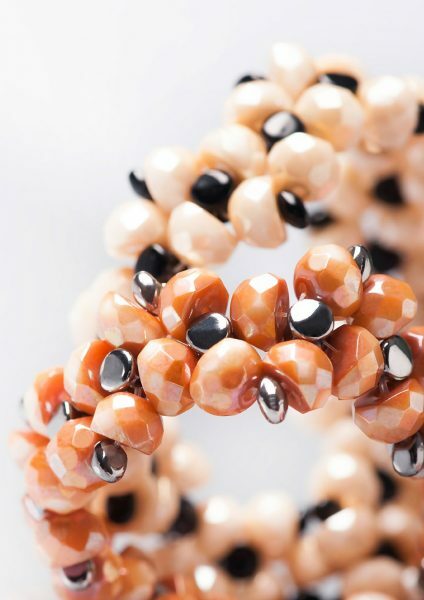 This summer I had the opportunity to study these two sample bracelets which are in our showroom. 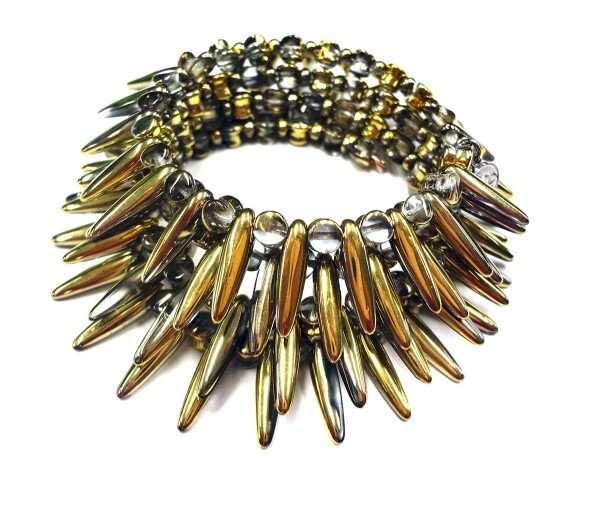 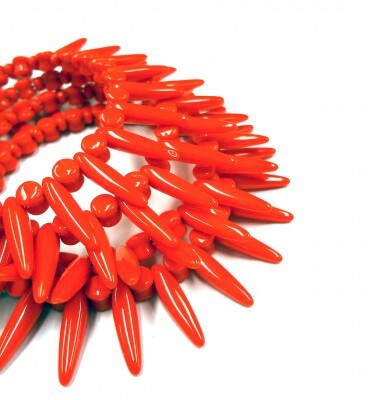 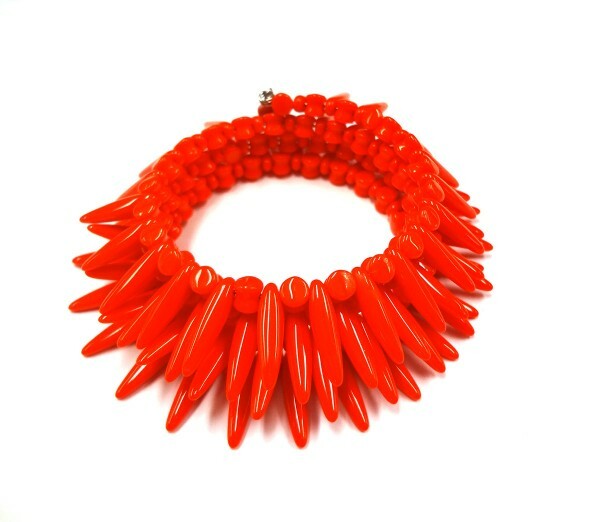 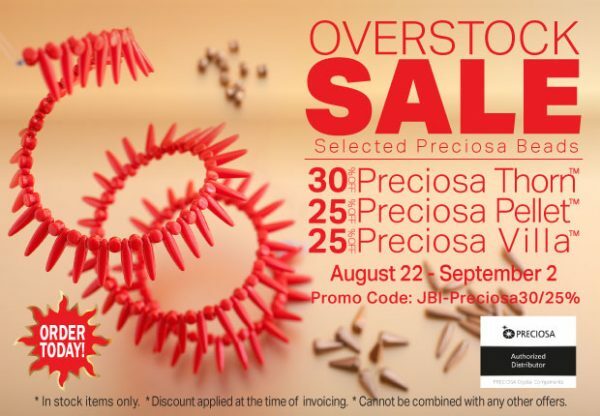 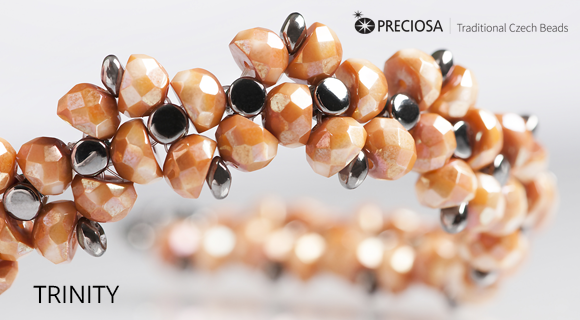 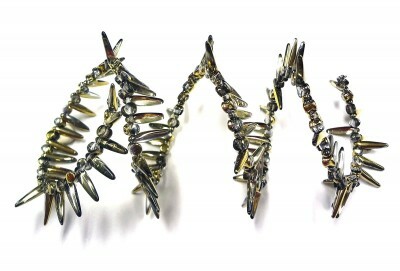 The combination of PRECIOSA Pellet™ & Thorn™ beads makes this bracelet design so pleasing. 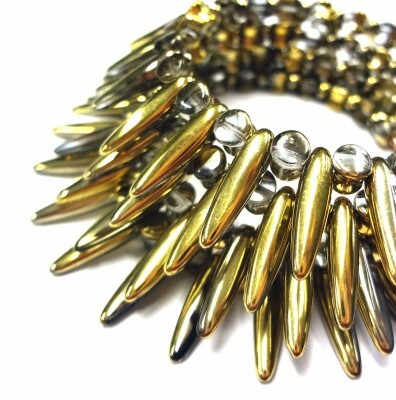 The bracelet looks complex but as you can see is a simple wire project.